There is often a lot of confusion about calibration and in particular UKAS calibration. With many misconceptions abounding, below we try to give some plain english answers to some of our most frequently asked questions about calibration services in general in the UK. What is Accuracy, Precision, Resolution and Repeatability? At what calibration interval should I have my equipment calibrated? What is the difference between UKAS (ISO/IEC 17025) Accredited Calibration and ‘In-house’/’Traceable’ Calibration by an ISO 9001 certified company? A company has UKAS ‘Tick Mark’ logo does this mean they offer UKAS (ISO/IEC 17025) Accredited Calibration? Isn’t the “Traceable to UKAS” / “UKAS Traceable” Calibration that other companies advertise the same as UKAS (ISO/IEC 17025) Accredited Calibration? Is UKAS Calibration recognised outside the UK? Do you offer NIST traceable calibration? How long will it take for you to calibrate my equipment? Why is the price of your product sold with calibration so much lower than my current calibration price? I bought one of your products sold with calibration, how much will it cost to re-calibrate it? What is batch calibration (of thermocouple wire or MI cable)? A: The term “calibration” can have some slightly varying meanings, when we talk about calibration it is mostly related to the field of metrology (the science of measurement). It should not be confused with adjustment, i.e. adjusting measurement equipment to give more accurate readings (although we can provide this service for some equipment). In simple terms calibration is the testing of a customer’s equipment (the “unit under test“) by comparing its measurements with our more accurate equipment (a laboratory reference “standard“), that is considered close to the true value being measured. We then issue a “calibration certificate“, a paper document, normally unique to the unit under test, detailing the what the unit under test and the standard measured at the test points. The difference between the two readings is the “error” of the unit under test. All measurements are subject to “uncertainties of measurement“, which are reported on the certificate. Q: Why is Calibration needed? A: Calibration is the primary process used to maintain surety and confidence in the accuracy your measurement equipment. But it needn’t be seen as an inconvenient obligated burden, there are many benefits from a well managed schedule for equipment calibration, adding value to your product or service. For many of our customers, ensuring their process is at the correct temperature, humidity or pressure is very important, since slight variations can have drastic affects on the quality of the product. Therefore calibration, whether by sending their measurement equipment to our lab or our service engineers visiting their site, is the obvious way to ensure their measurement, control and recording systems are accurate. An example of problems we have encountered caused by inaccurate measurement, was when a customer’s industrial furnace was found to have been 80°C hotter than required for many months. This not only put the product at risk, but cost the company a lot in unnecessary fuel costs. 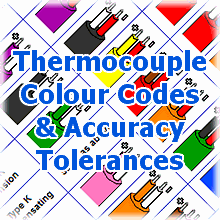 Had the temperature measurement and control system been calibrated regularly the thermocouple wiring polarity fault (a common and easy mistake to make) would not have gone unnoticed for so long. Q: What are Accuracy, Precision, Resolution and Repeatability? Accuracy means how consistently close a measured value is to the true value. Resolution (or sensitivity) is how small an increment in the measured value the device can display or detect. Instruments with digital displays may display results with a higher resolution than the measurement sensor can detect, for example the display may show figures to 0.1, but may only change in 0.4 increments. For digital displays, the Least Significant Digit (LSD) is also important, for example, a reading of 25°C represents any value between 24.50°C and 25.49°C and the last display digit may flicker between two digits when the measured value is near the 0.5 boundary. Repeatability (or stability) is how consistent the measured value is when the measurement is repeated under the same conditions (normally over a meaningful period of time). For example, a device when tested may initially have a measured value close to the true value, but when left under the same conditions over 10 minutes, its measured value may drift away from the true value, showing the initial measurement was a fluke. Reporting of repeatability is important to ensure the device is consistently accurate and favourable results have not been ‘cherry picked’. Precision is closely linked to Resolution and Repeatability. It is often used to imply accuracy, but increased precision doesn’t necessarily lead to increased accuracy. For example, three digital thermometers are tested, measuring the same source of 100.0°C (which is stable and uniform), under the same conditions, over a 10 minutes period. The first has a 1°C display resolution and measures 101°C the whole time. The second has a 0.1°C display resolution and measures between 101.7°C and 101.9°C. The third also has a 0.1°C display resolution and initially measures 100.3°C, but then fluctuates between 100.3°C and 103.4°C. So whilst the second thermometer has the best precision and the third thermometer initially seemed the most accurate, the first thermometer actually has the best accuracy. A: The “uncertainty of measurement” is the doubt that exists always about result of any measurement. It is a statistically derived value taking into account all factors that could affect the calibration process. The reported expanded uncertainty is based on a standard uncertainty multiplied by coverage factor (K=2) providing confidence of approximately 95%. E.g. For a temperature sensor calibrated as reading 100.6°C at 100.0°C (an error of 0.6°C), with an uncertainty ±0.2°C, could have an error of between 0.4°C and 0.8°C and we are 95% confident of this. Although many specification and standards fail to mention uncertainties when dealing with calibration they are a factor that should be considered when choosing a calibration service, as a equipment calibrated with a too wide (large value) an uncertainty could mean the true readings of the equipment are outside accuracy tolerance necessary for process to ensure consistently high quantity of the product. It is also worth being in mind that demanding very narrow (small value) uncertainty will mean a lab will have to use it’s best (most expensive) reference standards and often spend more time calibrating, so naturally it will cost you more. Q: At what calibration interval should I have my equipment calibrated? A: The frequency with which calibration should be carried out is dependant upon requirements mandated the customer’s quality system and any specifications or standards applicable to the process, product or service. However, regardless of any mandated minimum, one should always consider the risks and cost of problems caused by inaccurate measurement equipment. A 1 year recalibration interval is most common and we will send you a reminder just under a year after your equipment has calibrated (unless requested otherwise or at a different interval). If requested, we can put a “Recalibration Due” date, based on your calibration interval, on the calibration label on the equipment and on the calibration certificate. Q: What is the difference between UKAS (ISO/IEC 17025) Accredited Calibration and ‘In-house’/’Traceable’ Calibration by an ISO 9001 certified company? A: ISO/IEC 17025 accreditation means procedures and criteria have been specifically developed to determine technical competence in the field of measurement and calibration. Through independent assessment that evaluates all the factors that affect accuracy and repeatability of the calibrations performed. The table below has a comparison of the differences between UKAS (ISO/IEC 17025) Accredited Calibration and ‘In-house’/’Traceable’ Calibration by an ISO 9001 certified company. Q: A company has a UKAS ‘Tick Mark’ logo does this mean they offer UKAS (ISO/IEC 17025) Accredited Calibration? A: No. This is normally incorporated with another quality logo (with a box around both), ISO 9001 for example, and typically refers to the Certification Body who issued the ISO 9001 certification to the company displaying the logo. The logo showing that a company offers UKAS (ISO/IEC 17025) Accredited Calibration incorporates the text “UKAS CALIBRATION”. Q: Isn’t the “Traceable to UKAS” / “UKAS Traceable” Calibration that other companies advertise the same as UKAS (ISO/IEC 17025) Accredited Calibration? A: No. There is no such thing as “Traceable to UKAS” or “UKAS Traceable” calibration, these terms are common misnomers. Unfortunately some calibration companies continue to use these misleading terms (either out of ignorance or intentional deception) to advertise calibration services that are traceable to National Standards. (Their calibration is normally traceable to Nation Standards via a calibration certificate for their calibration equipment that has been issued by a UKAS accredited company). They may also state that their equipment is UKAS calibrated, which can easily be misinterpreted as being able to offer UKAS calibration, but this is not the same as the laboratory being UKAS (ISO/IEC 17025) accredited for calibration. Q: Is UKAS Calibration recognised outside the UK? A: Yes. UKAS has agreements within Europe through the European cooperation for Accreditation (EA), Internationally through the International Laboratory Accreditation Cooperation (ILAC) and International Accreditation Forum (IAF) to ensure UKAS certificates are accepted in many countries. Q: Do you offer NIST traceable calibration? A: TMS Europe do not offer NIST traceable calibration. However through the International Laboratory Accreditation Cooperation (ILAC) you can rest assured that our UKAS (ISO/IEC 17025) accredited calibration are to the same international standards that NIST traceable calibrations are performed. Q: How long will it take for you to calibrate my equipment? A:In most instances we quote 7 to 10 working days. If an express service (24 to 48 hours) is required then we are more than happy to discuss your needs. We always endeavour to meet our customers’ needs. Q: Why is the price of your product sold with calibration so much than lower than my current calibration price? A: Our products sold with calibration are calibrated in bulk at our predefined points (as opposed to the customer specifying their own), this means we can calibrate more items at once with lab equipment set up for these point and use pre-formatted certificate templates. Many of these items have wider uncertainties than our general price list calibrations, but are still perfectly adequate for many applications. All these factors allow us to reduce our costs and so in turn reduce the cost to our customers. Similarly with our product sold with calibration included in the price, we are calibrating these items in bulk (normally at the same points as one of our Low Cost Fixed Point Calibration Service Items), so we can offer very competitive prices on our calibrated products. When ordering, please put our order code for the Fixed Point Calibration Service Item on your order, to ensure it is differentiated from calibration done under our general price list and you are charged for a higher service. Q: I bought one of your products sold with calibration, how much will it cost to re-calibrate it? A: For a product sold with calibration included its price by TMS Europe, to have it re-calibrated the same again, i.e. as a Fixed Point Service Item, at the same (or current) points and with the same (or current) uncertainties, our price will be very competitive. However if you need different or extra points or a better uncertainty the calibration will be priced from our general calibration price list and will likely cost a fair bit more. Q: What is batch calibration (of thermocouple wire or MI cable)? A: Batch Calibration is a number of thermocouples (typically first and last sample of a reel) to provide a representative sample of the thermocouple reel with the difference between the calibrations being a measure of the variation within the batch.